Oxford Biodynamics Plc (LON:OBD) CSO Dr Alexandre Akoulitchev talks to DirectorsTalk about presenting its work in Washington at the Summit on Emerging Immunotherapies for Hematologic Diseases. Alexandre describes for us the field of immunotherapies, what it is that OBD brings to the field, its expertise in patient stratifications in immunotherapies applications, explains how relevant the earlier studies are to new immunotherpy applications and the advantages EpiSwitch technology been demonstrating in its latest applications. 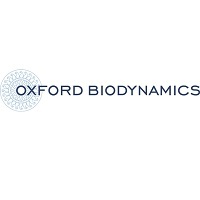 Oxford BioDynamics Plc is a biotechnology company focused on the discovery and development of epigenetic biomarkers for use within the pharmaceutical and biotechnology industry. The Company’s award-winning, proprietary technology platform, EpiSwitch™, aims to accelerate the drug discovery and development process, improve the success rate of therapeutic product development and take advantage of the increasing importance of personalised medicine. In particular, EpiSwitch™ can reduce time to market, failure rates and the costs at every stage of drug discovery. Additionally, the technology provides significant insights into disease mechanisms for drug discovery and product re‐positioning programmes, and enables the personalisation of therapeutics for patients in the context of challenging pricing environments where improved clinical outcomes are critical.